As chants of “not my president” echo across the nation, millions gather around the globe to protest our new administration and hot pink yarn flies off the shelves of craft stores everywhere, Donald Trump is still the president of the United States. In the months since the election, and especially the two weeks after the inauguration, the entire planet has been reeling from the election of one of the most divisive leaders we have seen in the modern age, forced to come to terms with the reality that such a man has come to power. How can we attempt to process this dynamic shift, and where can we find the energy to keep us in the fight? The James W. Palmer Gallery has provided one such answer in its new exhibition, “The World After January 20, 2017: Works by Contemporary Artists and Poets.” Come experience this multimedia exhibition, on view through Feb. 16, which features artists from a variety of backgrounds all searching to comprehend this strange new world, and through great pain find a sense of understanding. Each work captures a variety of experiences, some quiet and reflective, and others more bombastic. While there was certainly a trend of depicting Donald Trump rodent-like and grotesque, others went for a subtler approach. The painting “A Dangerous Table” by Nichols was a favorite, blending tranquil, swirling colors with a darker, more sinister message. In a pose reminiscent of “The Last Supper”, the likenesses of Trump’s closest confidantes are seated around a table. Some are dressed in the white cloaks of KKK attire while others seated more centrally give off the Nazi salute. Perhaps most strikingly, the man with the orange hair is not seated at the table, but is placed off to the side, tripping over his own feet. These works are meant to incite a dialogue, and Nichols puts it most eloquently: “The works in this show were created by artists who, in many cases, are in the cross-hairs of the new administration because of our queerness, color, gender, country of origin or religious affiliation. One non-violent response in these times of national crisis may be to invite dialogue with the huge number of North Americans who celebrate the direction our elected leaders seem to be taking the country.” Professor Nichols emphasized the importance of this form of protest, stating: “The urgent work for citizens of conscience right now is to imagine ways to build alliances that counter the initiatives coming out of Washington. This movement will benefit from the support of artists and writers and those of us who make their work possible. We need to fill public spaces, newspapers and classrooms with the language and vision required to sustain a just and unbreakable union.” It is clear that in times like these, filling every space with protest and dissent is the path to change, or at the very least the inhibition of the disastrous policies of our current government. 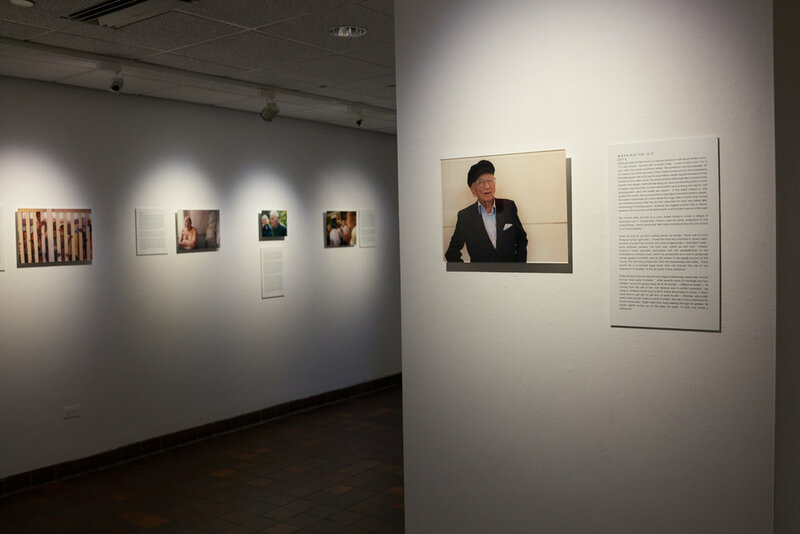 While the exhibition “The World After January 20, 2017” does not give answers to every problem facing our nation at this very moment, through a variety of perspectives it offers the idea that unity does not mean disregarding the plights of individuals but embracing us all, that through mutual understanding of our unique struggles we might have a chance at progress. I am excited to be co-curating an exhibition with poet, artist, and activist, Judith Nichols, entitled, The World After January 20, 2017: Works by Contemporary Artists and Poets. The exhibition is a response to the 2016 election. Judy and I were collaborating on a different exhibition when the U.S. election results became clear. Our creative community seemed to be reeling from the news. We decided to defer our original project and provide an opportunity for a larger group of artists and poets to share their current politically-based work. The exhibition will include poems, painting, prints, posters, documentary photography, political cartoons, and installation. Judy and I look forward to what the show will inspire among viewers. hoping the exhibition creates a space ripe for discussions, connections, and perhaps, especially, visions of how we might move forward. Visual artists and poets featured include John Balaban, Gerardo Castro, Michaela, Coplen, Monica d. Church, Liza Donnelly, Guerrilla Grannies, Tatana Kellner, Virginia Lavado, Michael Maslin, Molly McGlennen, Judith Nichols, Peter Steiner, and Sam Vernon. 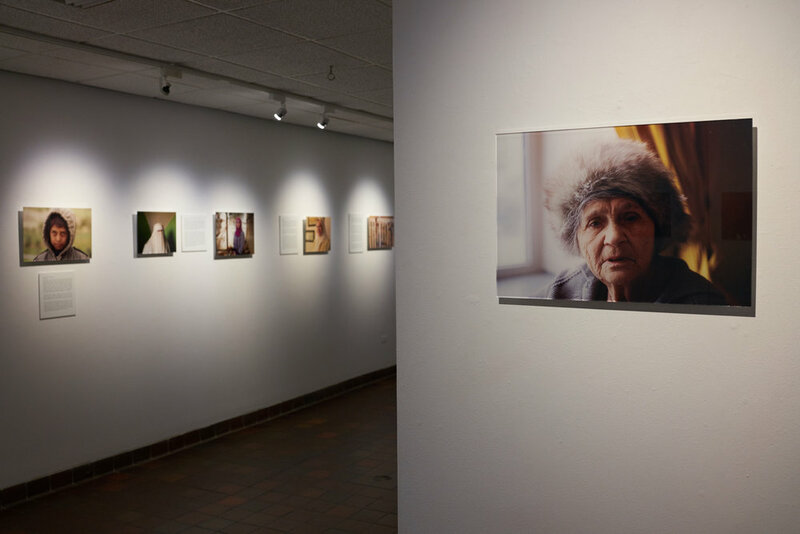 The show will be on view February 2-16 at Vassar College in the James W. Palmer Gallery in Main Building. An opening reception will be held on Thursday, February 2, 5:00-7:00 pm in the gallery. The reception is free and open to the public. I am participating in The Arts center of the Capital Region's upcoming annual Day 2 Day Print Exchange curated by Danielle Morales. The exhibition requires each printmaker to submit 12 identical prints to be sorted and redistributed. In return, each artist receives 10 different prints from other artists. This exhibition showcases the prints and offers them for sale. This year's print sales will benefit The American Foundation for Suicide Prevention. 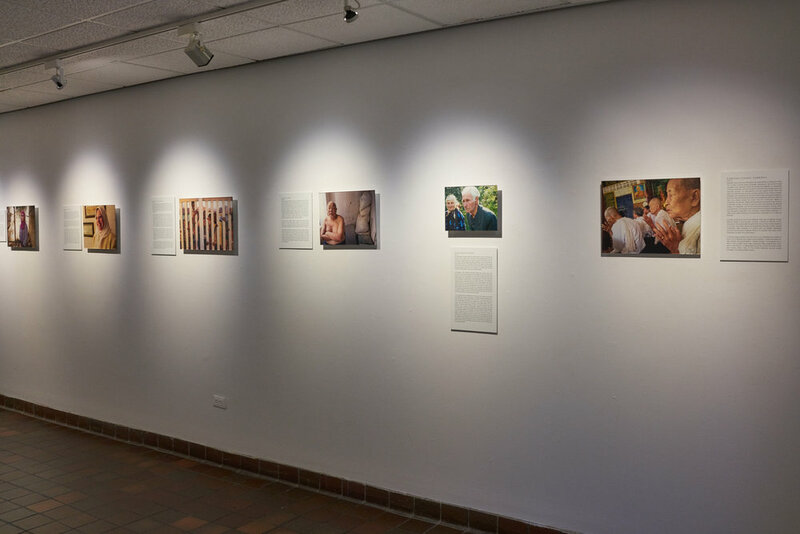 Victims, Perpetrators, Eyewitnesses, and Survivors: Life After War by photo-journalist, Amy Kaslow was on view at Vassar College's Palmer Gallery from October 21- November 18, 2016. 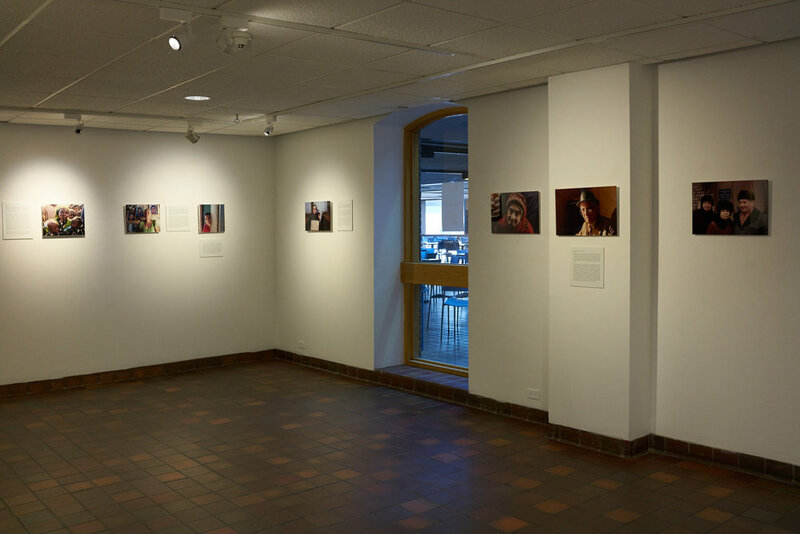 These are photos of Amy meeting with Vassar's photography club, Phocus, and shots of the exhibition. I am the advisor to Phocus and worked with Amy to design her exhibition installation. Beginning on October 5, 2016, twenty-three of my recent photographs made in La Paz Centro, Nicaragua will be on display at Poughkeepsie's Crafted Kup Coffee Shop. The Crafted Kup is located at 44 Raymond Avenue in Poughkeepsie, New York. The images are from a nascent body of work that began with a collaboration with the non-profit Artists for Soup. Artists for Soup is dedicated to supporting sustainable development in La Paz Centro, Nicaragua, a city of 30,000. The local women who work with this NGO generously opened their homes and shared their families with me. The Crafted Kup is open seven days a week, please stop in and view the photos and have a cuppa! I stopped by Export 2019 at Poughkeepsie’s Trolley Barn yesterday. Was great to see the show on a sunny day after attending the mobbed opening reception. Beginning to install my portion of Church + Hemmerle NEIGHBORS in the Hancock Gallery at Cunneen Hackett. Show opens Friday night 3/1, 5-8 pm.